I've been on the hunt for a pretty champagne urn to use for my kitchen utensils for a while now. But I can't seem to find one that fits my thrifty budget. However I got to thinking about this lamp that I've had in my garage for a while now. It used to be in our breakfast nook but I took it out when we were staging to sell our house. I thought it could work with a little tweaking. 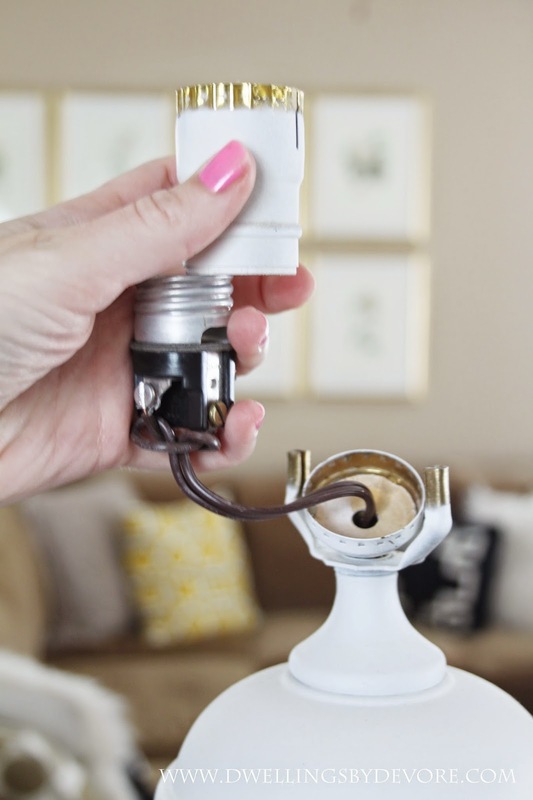 I started by removing the bulb and then twisting the top portion of the light socket off of the base of the lamp. Then I removed the top portion and was left with what you see below. All you do from here is unscrew those little screws that are holding the wire in place and unthread the cord through the base of the lamp. Another bonus to this project is that you now have an extra lamp kit to use in the future. 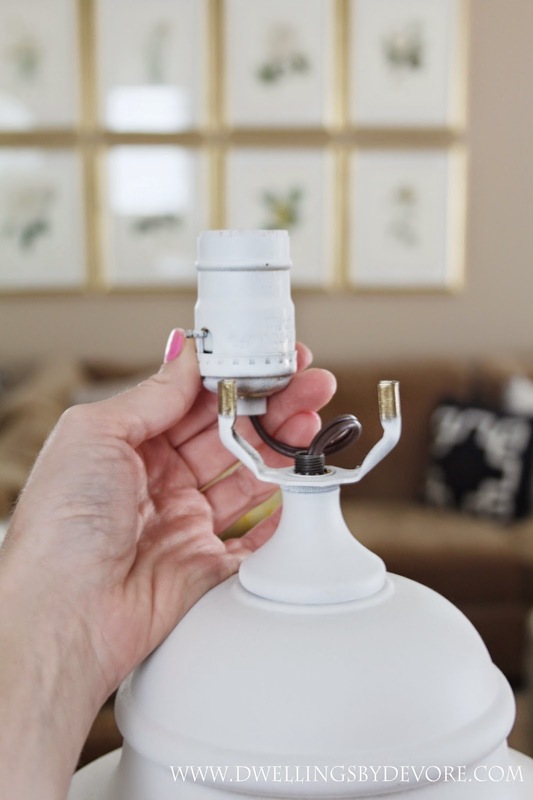 I actually used to buy thrifted lamps when I would want to make a light fixture because it was way cheaper than buying the lamp kit at the hardware store. Then I just took the pieces of the lamp apart until I was left with the shape I wanted. I basically just removed the top two pieces to leave me with an urn shape and an open top. When it comes to putting it back together you will just need a threaded rod to hold it all in place. More than likely you'll need one that's about a third as tall as the original one. I happened to have on in my garage from a previous lighting project, but if you didn't you can find them at Lowe's in the lighting department. On the right is the original one and the left is one similar to what I ended up using. It was actually still a little too tall, so I found a smaller one in my garage. You get the idea. Once it was all put back together I sprayed the whole thing gold (Rustoleum Gold Metallic) and then gave it a clear coat for extra durability. I've noticed that when I use the clear coat over the Rustoleum gold it makes the finish a little less bright and a little more brassy which I kind of like. Sadly, when I tried putting my utensils in it the scale was all wrong and it just wasn't working for me. Thankfully I picked up a basil plant at Trader Joe's during my grocery trip and it works great as a planter! When the basil dies (as it inevitably will), I think I'll fill it with a few different succulents for a different look. 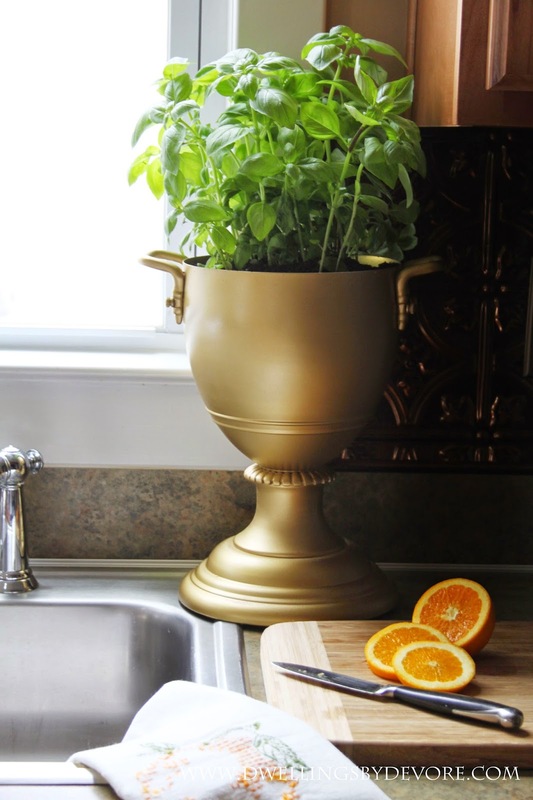 So, the hunt continues for a champagne urn, but I now have a fun new planter! The great part about this is that the lamp was only around $2.99 so it was a really inexpensive project. 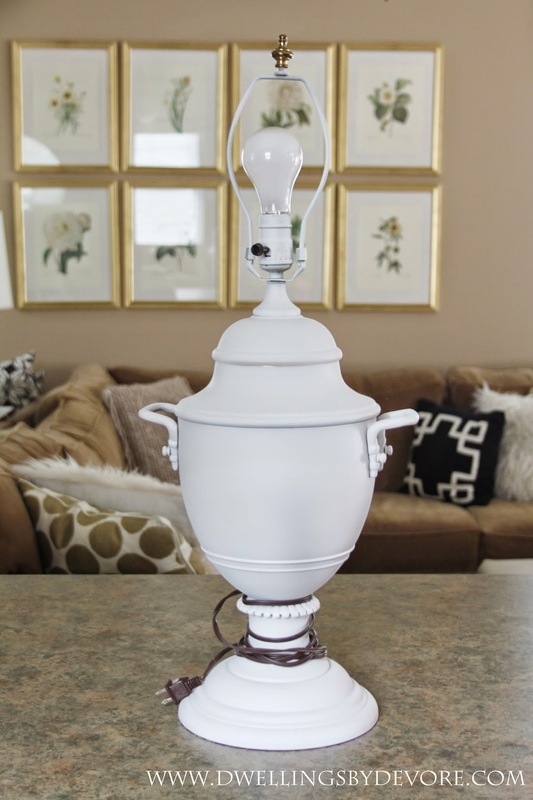 I've seen these lamps randomly during my thrifting trips too so it's likely you'll come across one if you want to try this for yourself! I think the new planter looks wonderful Brooke! Glad it worked out in the end, good luck with the hunt! You are so clever, Beth!! It turned out amazing and looks great with your basil! How fun is this, I love it. Too cute! 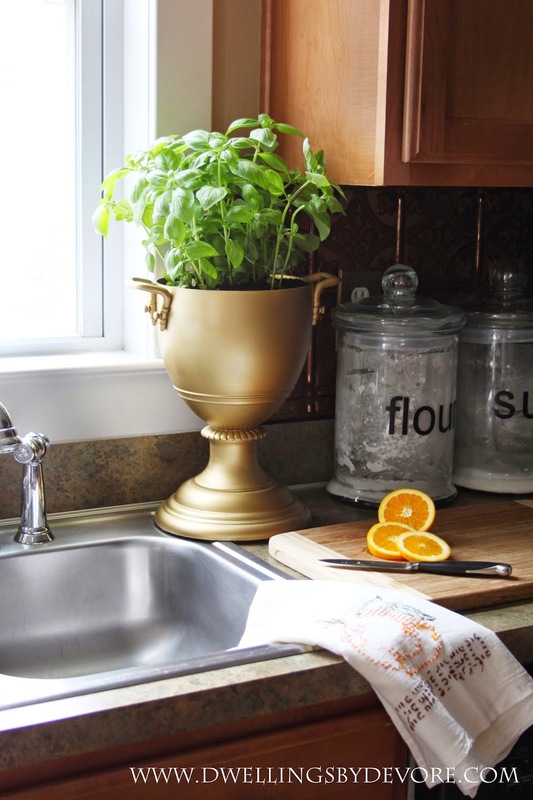 Only a true DIY-er can take a lamp, with the intention of a utensil holder, and turn it into a fabulous planter. Haha. 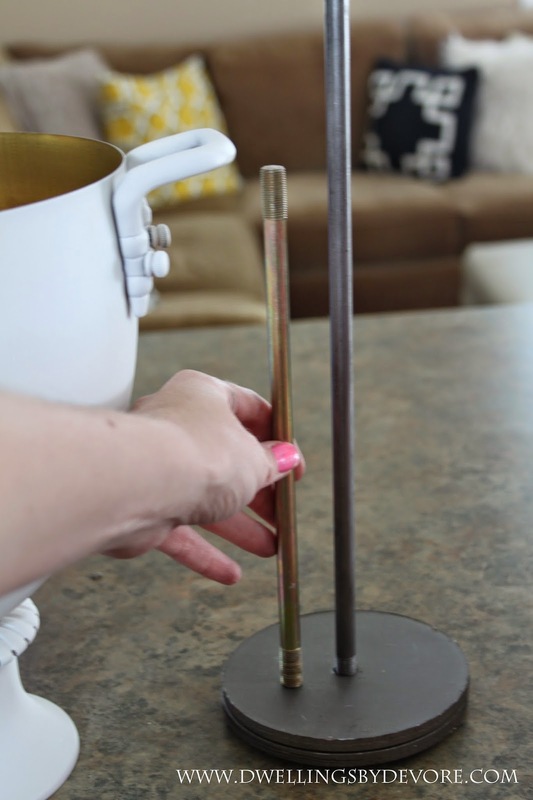 Love the little detail about using thrifted lamp parts too - great tip! such a smart idea and you know i love the gold! How smart are you!! I always think of turning things into lamps, but I've never thought about turning a lamp into something else. Love it! 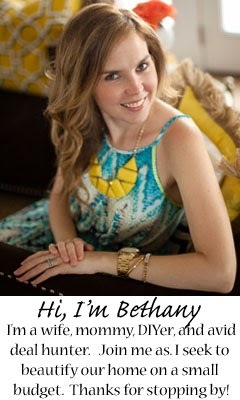 I love this Bethany! So clever and awesome!